Our Daily Manna 3 February, 2019 -THEY WROTE THEIR EXAMS IN WEDDING GOWNS: GIVE LIFE WHAT IT TAKES! TOPIC: THEY WROTE THEIR EXAMS IN WEDDING GOWNS: GIVE LIFE WHAT IT TAKES! Sometime in April 2018, in my home country Nigeria, an interesting thing happened. Two female students of Benue State University, Makurdi, Benue State, stunned the whole university community. The two female Mass Communication students were in their final year. The university had fixed their final paper for the course code named, Com 402; Media Law and Ethics. The students too had fixed their wedding dates. Somehow and somewhere along the line, there was a coincidence; their wedding and examination date coincided. It was a Saturday. Something dramatic however happened. The two newly-weds left the wedding mid-way; they left their husbands behind with their bridal trains and went into the examination hall in their wedding gowns to write the final examination paper. Their course lecturer said the two brides entered the examination hall amidst jubilation and excitement. Hear his words, “I was with the Deputy Vice – Chancellor (academics) when both women stormed the examination hall. It was a moment of joy for all of us as students and lecturers. We were happy that our students got married and they (students) were happy too that they got married and also took their last exams same day. It was double joy for them.” A member of the University Examination Monitoring Team was elected to see the two female students in their wedding gowns with the utmost desire to graduate. With the LORD supplying strength, then NO MORE EXCUSES! You can win and win! May your determination DISGRACE YOUR HATERS! Don’t let sin be an obstacle to your making it to Heaven! Don’t let laziness or sleep be an obstacle to your success in life! Don’t let your family background be an obstacle that will put your back on the ground! Don’t allow that DELAY to stop you! Give life whatever it takes for you to make it legitimately! Push on! Hold out! March on! I can hear your STORY to GLORY song so near! Amen! READ ODM Daily Devotion September 7 2018 - TOPIC: SHE FORGOT THE LAW! The Great International Asaba Special Anointing Service IS On Friday 8th: 6pm and Saturday 9th ,7.30am Due to Nigerian General Elections. Our Daily Manna 3 February, 2019 -THEY WROTE THEIR EXAMS IN WEDDING GOWNS: GIVE LIFE WHAT IT TAKES! Theme: “Satanic Saloons: Catch Fire!” Venue is the CENOTAPH. I Shall Lay Hands on all present! Bring your 2019 prayer points! Call 08034907299 or 08033461818 for details. 1. Thank God and pray about today’s word as it has touched you! 2. I will make it in life no matter the circumstances around me in Jesus name. I loose NEW HELPERS TODAY! Our Daily Manna 3 February, 2019 -THEY WROTE THEIR EXAMS IN WEDDING GOWNS: GIVE LIFE WHAT IT TAKES! 3. I shall not allow any EXCUSE to STOP me this year and beyond! 4. Pray about today seriously! Our Daily Manna 3 February, 2019 -THEY WROTE THEIR EXAMS IN WEDDING GOWNS: GIVE LIFE WHAT IT TAKES! 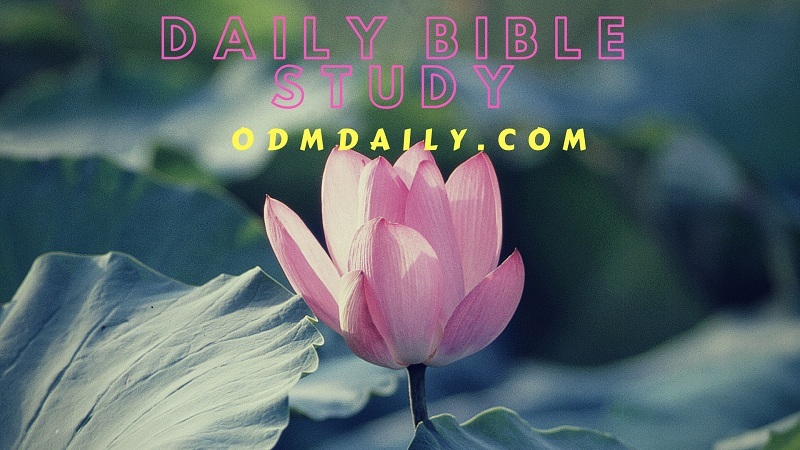 Previous Post:Our Daily Manna 2 February, 2019 – THE TOILETS WERE TOO DIRTY! CAN HE USE YOU? AMEN and AMEN! ! I will achieve my dreams regardless of what am going through! We are a couple. We have paid our Story to Glory Seed. How do we get our monthly prophetic arrows? No More Excuses This Year!! I will arise and possess my possession no matter what life may present !